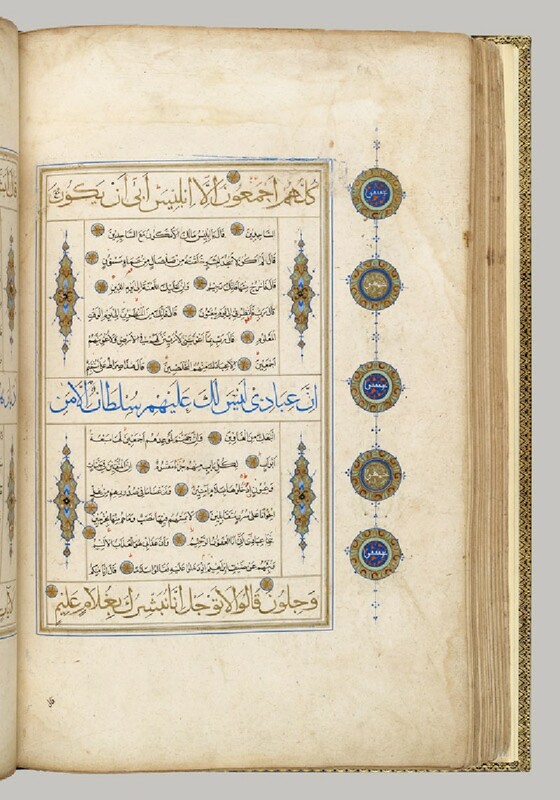 By the early 1400s the Qur’ans produced in Iran adopted a page layout that diverged from the standard single ruled panel. 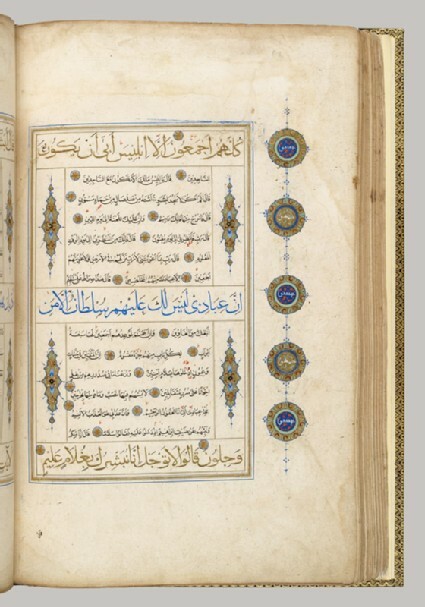 The text block was broken up into compartments of different width and height, which fitted a varying number of verses written in different hands. 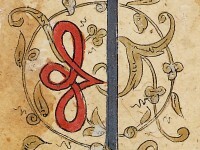 In many instances, as in the case of this manuscript, the folios were also finely illuminated by means of multicolour rulings and small illuminated motifs that complemented the traditional verse counters located on the margins.